We manufacturer, supplier and exporter of strainers are the most prestigious among the industries for providing best quality ISO 9001:2015 standard Y strainer, Basket strainer and top strainer that effectively protects process equipment against damage and helps increase productivity of the respective industry. When it comes to liquid filtration, gas filtration or steam filtration, no one can beat our industrial strainers, designed to effectively eliminate assorted impurities including, debris, scale, rust, weld metals and protect your valuable process equipment from clogging, which is a common cause for the damaging of process equipment and shutting down of processes. Our range of strainer incorporates Y strainer, basket strainer, simplex strainer and duplex strainer, is securing the top rank in the India for its unmatched performance, dimensional accuracy, sturdiness, cost efficiency and longevity aspects. This whole range of the strainer is available in extensive material, size and capacity options, making us illustrious in the market for proffering the largest inventory of the strainer. 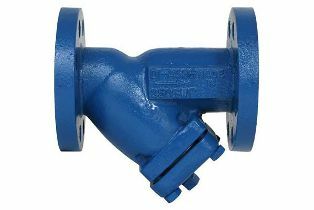 Besides, our veteran team of the engineers can equip this strainer as per the required standards, be it ANSI, BS, API or DIN, and is a reason for our prodigious vogue in the global market too. Our industrial strainers have become the backbone of the fluid and gas industries to protect control valves, steam traps, meters, pumps, engines, measuring instruments, heat exchanger, regulators and other process equipment down the line and ensure impeccable performance of the processes. Our world famous strainers are available under the AXEGIC brand name that is occupied by following the ISO 9001:2015 manufacturing processes, which thereafter undergoes the rigorous quality checks to ensure its quality aspects. The sustained quality and robust performance ability of our AXEGIC strainers have made it illustrious in the India and other countries, including America (USA), Russia, Iran, Qatar, Canada, China, Saudi Arabia, Algeria, Indonesia, Malaysia, Uzbekistan, Netherland, Mexico, Bolivia, UK, Thailand, Oman, Nigeria, Brazil, Kuwait, Bahrain, Colombia, Romania, Yemen, Germany, Italy, Israel, Denmark, Poland, New Zealand, Japan, Hungary, South Africa, France, Jordan, Iraq, Iran, UAE, and Qatar. Is your industry requiring particular size of strainer? You no need to flounder any more as we are here with the custom made strainer at the best rates. The sizing of the strainer decides safety of the operation and hence it is essential to determine correctly in order to prevent the plug up with debris that raises the requirement of the exact specification and is what we provide with our 12+ years of experience in the segment. We embrace a huge team of the professional and experienced engineers having sound knowledge in the field of strainer who are well versed enough to determine (configuration, flow volume, operating pressure) right size for your application requirement and develop a range of the strainer that best fits with your pipe, motor, pump, meter, engines, heat exchanger, regulator or other process equipment. Do you have further questions about us or our strainers? Our proficient team will be pleased to help you. Our team promises to offer best standard of quality, service and profitability to customers. As the name implies strainer manufacturer is designed to filter debris and other pollutants from the fluid, and same while designed and manufactured for the industrial level application, is called industrial strainer. In industries this type of strainer is used to protect different piping equipment and processing equipment, for an instance meter, motor, engine, pump, valve, etc. The integration of such an industrial filter in the downstream helps removing debris and other foreign particles from the liquid, flowing through the pipeline and thusly prevent the damage to the expensive process equipment caused by jamming of the impurities. The industrial strainer is used to filter assorted gas and protect processing equipment used in the gas industries. 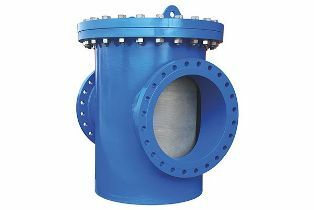 The efficacy of this industrial strainer has intensified its usage in the industries to remove impurities from flow, protect process equipment and ensure the effective functionality of the process equipment. Apparently, the use of the strainer in the industries prevents the blockage or plug up caused by the debris or other sediment in the flowing liquid or gas. The plugging up of such impurities also leads to damage of expensive equipment and sometimes disaster, which can be unsafe for the personnel too, and can result in the extravagant loss. Therefore, it is invariably wise move to invest in our cost effective industrial strainer rather than spending excessive on damage. It is essential to know the size and type of particle to be filtered, before decide on the size of filter as every fluid or gas has different size of the sediment to be filtered. Generally, the inorganic matter needs a small screen to filter the small sediments, whereas it is fine to have a medium screen for straining the organic matter. The speed of the flow is also a significant consideration while selecting the strainer, for a while 1 inch filter is compatible to hold a 75 gpm flow, and if used with the flow more than thereof, it won’t be effective. Correspondingly, if you are looking for the flow rate higher than the 75 gpm, you need one size larger filter to accomplish the filter process successfully. Every filter has the different pressure capability and therefore it is important to ensure the maximum pressure endurance capability of the respective strainer. The minimum pressure has never been the matter of attention, what you need to consider is the maximum operating pressure to ensure the unfailing performance of the strainer. The operating cost of the self cleaning industrial strainer is higher in comparison to the manual, however the automatic operation reduces the manned requirement and the possibilities of the failure and hence it is ingenious decision to go with the automatic or self cleaning strainer that promises for the 100% filtration without failing. The pressure drop of the fluid pressure across a piping component is common, which occurs while liquid is forced through the filter media to remove contaminates, it alters direction many times. This process develops specific amount of resistance against the flow of the liquid that ultimately results in reduced pressure once liquid passes through the filter. The pressure drop varies as the media, amount of impurities, speed of flow and thickness of the media varies. As the strainer fills, the pressure drop increases as the filtered sediment reduces the filter surface area. Once this point reaches to the certain pressure that is hard to overcome, and the flow through the filter will be less. If the same is continued without emptying strainer, it will reach to the edge from where no filter will occur and will clog completely. The wrong selection of the strainer can damage the whole system; don’t let this happen to you..! Our veteran team of the professionals is available 24/7 to help you select the perfect type of strainer for your application need.